← Work Week Wardrobe: Kelly and Peplum and Spots, Oh My! Looking for a simple (and healthy!) treat to satisfy your sweet tooth? Look no further than this delicious two-ingredient recipe I first tasted at a potluck-style girls’ night in college (thanks, A!). Enjoy while berry season is in full swing! Chill raspberries for several hours before handling. Simply stuff a chocolate chip inside a single raspberry. 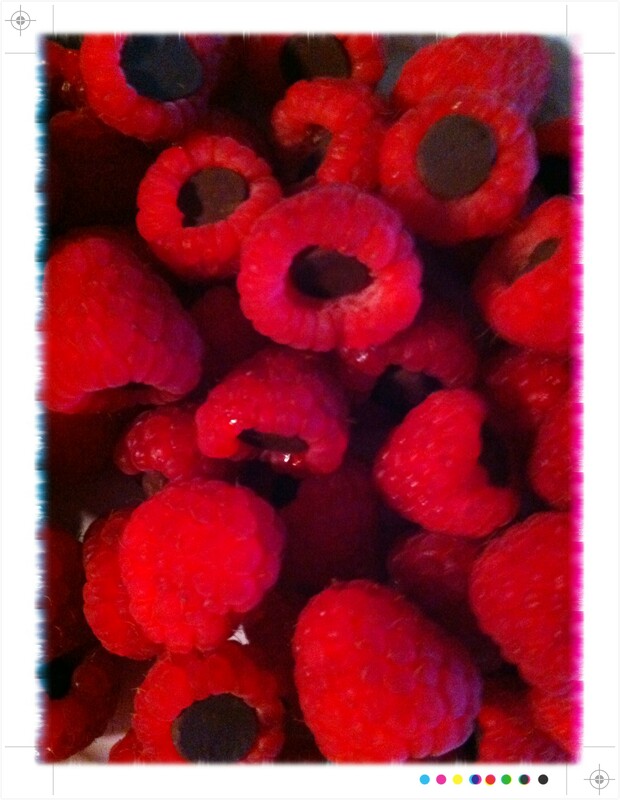 Repeat until all raspberries have been accounted for. Once properly filled with chocolate chips, place all of the raspberries back in the refrigerator to chill for about 30 minutes. And that’s it! Simple, easy, delicious.